We've decided to have some fun now that the month of March is in full swing, and we'd like you to join us. March Badness is here! March Badness will see eight of the most interesting bad guys in Warcraft history go head-to-head to find out who is truly the baddest of the bad. In polls we’ll run all week on Facebook, you’ll get to decide who moves on, who is eliminated, and who is ultimately declared the champion of villains. Before you fill out your bracket, take a look at the entities who have made it to the great eight. After the Third War, Arthas Menethil, the fallen prince of Lordaeron, was summoned to the Frozen Throne to serve his duties as a loyal death knight. Fighting off the forces of Illidan Stormrage, Arthas broke the ice surrounding his master, donning the Lich King's helm and merging with him. 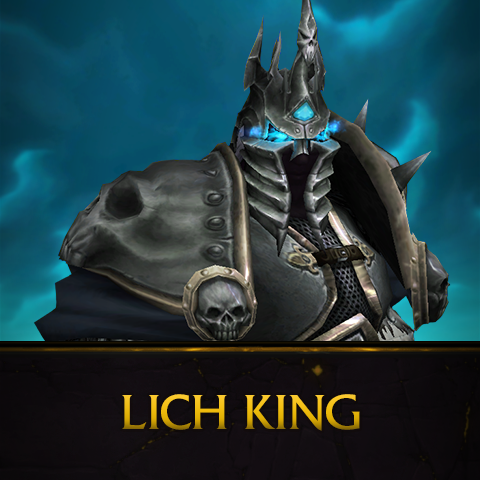 Years later, the Alliance and Horde would kill Arthas, but they discovered that his vast army of undead, the Scourge, would always need to be controlled by a Lich King. Driven by his thirst for power and his conviction that the Burning Legion must be destroyed at any cost, the night elf Illidan Stormrage temporarily sided with the Legion during the War of the Ancients. He studied the demons' spellcasting for a time, then rejoined Azeroth's defenders and used his new knowledge to defeat the invaders. During the Third War, Tyrande released Illidan from millennia of imprisonment, hoping that the Betrayer would help drive back a new invasion by the Legion. 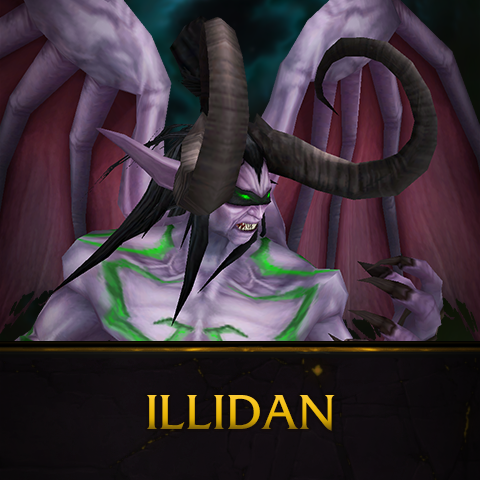 Though Illidan fought the demons, he soon slipped into darkness: after absorbing the fel energies of the Skull of Gul'dan, Illidan became a demon, an act for which he was banished by Malfurion. 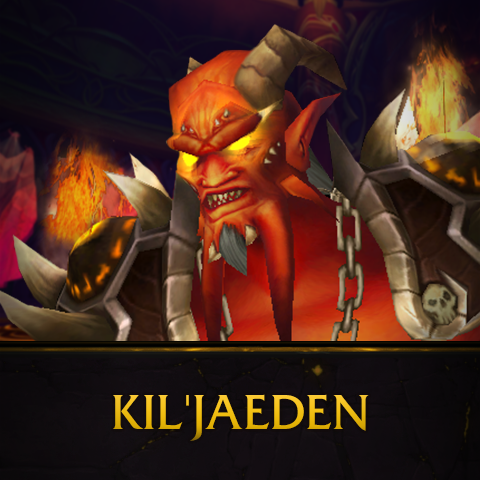 Seduced long ago by promises of power from the dark titan Sargeras, the eredar demon lord Kil'jaeden leads the Burning Legion as demons scorch entire worlds with fel corruption. His agenda is evil: consume life and magic, assimilate every possible race into the Legion's ranks, slay any who dare resist, and ultimately destroy all of creation. Formerly the black dragon Neltharion, leader of the black dragonflight and one of the five Dragon Aspects, Deathwing was given dominion over the earth by the titans. 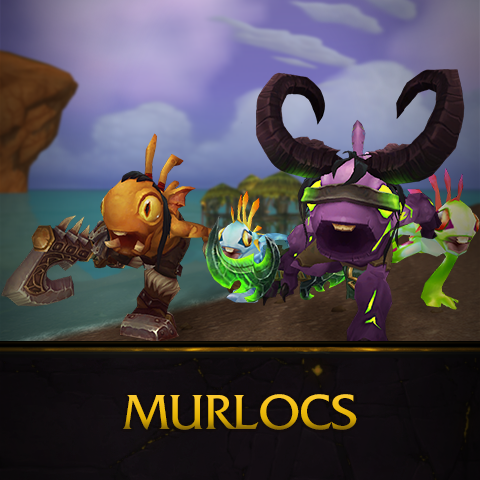 In an unfortunate turn of fate, the titans had long ago imprisoned twisted beings of pure evil known as Old Gods deep beneath the surface of Azeroth. Despite their captivity, the Old Gods' power was so great that they drove Neltharion to madness, and he turned against the other Dragon Aspects. 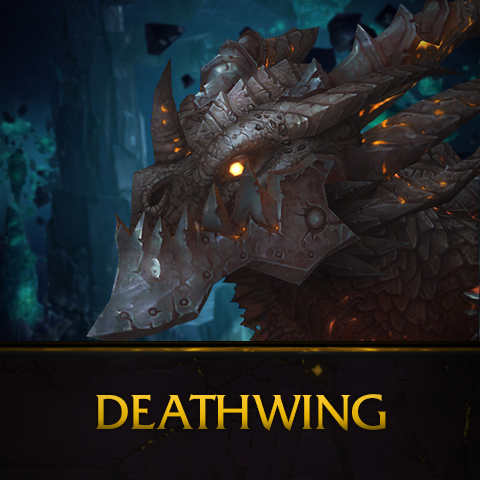 Deathwing spurred the Second War by sabotaging the Alliance in the guise of Daval Prestor, a human lord, and helping the Horde enslave the red Dragon Aspect, Alexstrasza. By the time he was defeated and killed, Deathwing's goal had become nothing less than the Hour of Twilight: the end of all life on Azeroth. The Old God C'Thun is an unfathomably evil entity whose pervasive power has suffused Azeroth since time immemorial. 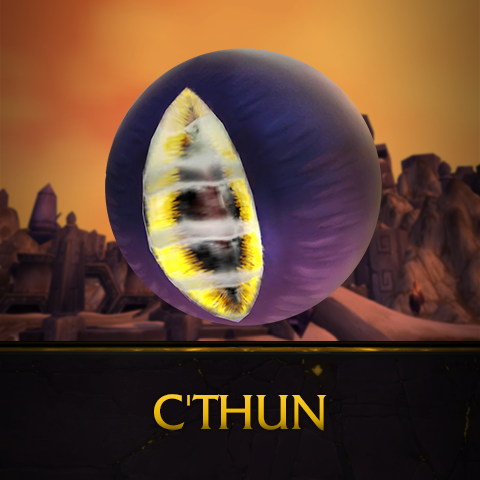 Imprisoned in the depths of Azeroth long ago by the titans, C'Thun freed itself in recent years. 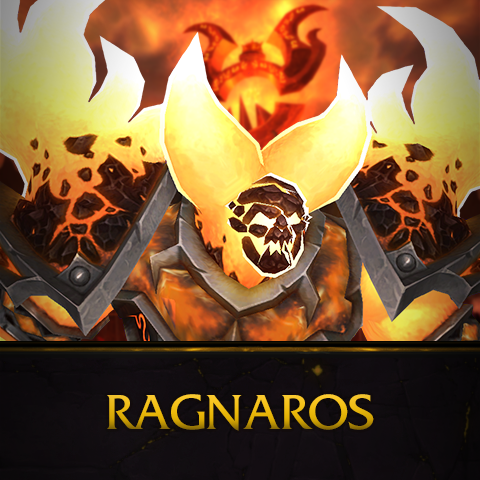 Champions of the Alliance and Horde chose not to wait for the Old God to build up its strength. They invaded the city-kingdom of Ahn'Qiraj, fighting countless qiraji and silithid before finally confronting and killing the malevolent god. Even so, it is unknown whether Azeroth has truly seen the last of C'Thun. Until recent times, the Firelord was the incredibly powerful ruler of all fire elementals and the destroyer of Thunderaan, Prince of Air. Wielding Sulfuras, an enormous mace of flaming red elementium, Ragnaros tried to burn down the World Tree Nordrassil while Deathwing and the Twilight's Hammer cult fought to bring about the Hour of Twilight. When Alliance and Horde champions slew the corrupted titanic watcher Loken, his death triggered an automatic failsafe, summoning the constellar Algalon the Observer to investigate. 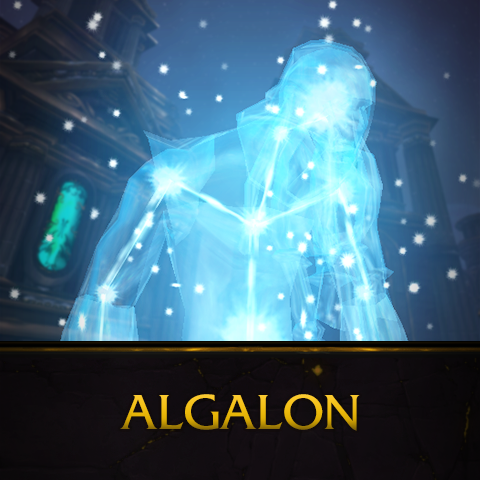 In the Celestial Planetarium in Ulduar, he possesses the power to trigger the re-origination of the planet and bring about the end of all life on Azeroth. Yar grrrblll murrrblurrrgle! Mrghlllghh! Wharhoorlbrg hlrborl hworlgblolbr, grrbllrggll rrugglmuglog. Mrghlllghh! Your votes will determine the results of each round. Keep an eye on our Facebook page all this week to cast your vote in each matchup. Your favorite might go all the way! Standard disclaimer: The above bad guys are not intended to be comparable in terms of power, ability, or villainy. A couple of them aren’t really villains at all, and C’Thun isn’t exactly a “guy”. Void where prohibited, which is pretty much everywhere. Let’s face it: pitting an old god against a lich king in a one-on-one matchup wouldn’t be good for the local environment. So have fun choosing favorites. Let’s not overthink this.